OpenEMR is the most popular open source electronic health records and medical practice management solution. ONC certified with international usage, OpenEMR's goal is a superior alternative to its proprietary counterparts. With passionate volunteers and contributors dedicated to guarding OpenEMR's status as a free, open source software solution for medical practices with a commitment to openness, kindness and cooperation. We depend on financial donations to succeed. OpenEMR is an ONC Certified HIT 2014 Edition Complete EHR product. We take pride in being one of the only open-source EHR solutions to provide Meaningful Use certification. Our vibrant community of volunteers and contributors have maintained critical OpenEMR features for over a decade. With over 30 supported languages, many customizations, and full data ownership, OpenEMR's features shine. On top of this, users in need of support can take advantage of our volunteer support network as well as over 30 vendors in over 10 countries. Advanced scheduling allows clinics to create repeating events, automated-workflows triggered by check-in, and patient reminds. Enter a prescription into an encounter and have it electronically sent to the patient's pharmacy. Integrated billing supporting HIPAA ASC X12 Version 5010 Transaction and Code Set Standards. Navigate complex patient algorithms using the clinical decision rules engine to ensure the highest quality of care for patients. Available in over 30 languages, and customizable to add more. OpenEMR is in need of funding for new development efforts that will benefit outpatient and inpatient users alike. Features include hybrid inpatient/outpatient support, advanced billing, Fast Healthcare Interoperability Resources (FHIR) integration, modern cloud offerings, ability to perform quality reporting, low-cost medical devices connectivity, and other commonly requested solutions. Our vibrant community is dedicated to responding to user needs and setting our priorities to be consistent with the requests of our colleagues abroad. 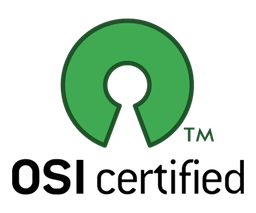 Open source software has changed the world for the better. OpenEMR is a leader in healthcare open source software. Costly proprietary EMRs are no longer the only option. Learn how to start contributing today!